Adams Avenue Integrative Health (AAIH) is a sliding-scale holistic wellness clinical project of Alternative Healing Network, (a 501(c)(3) non-profit.) We offer affordable healthcare for your entire family, including Acupuncture, Chiropractic, Massage, and Naturopathic Medical services. All proceeds from AAIH are used to fund weekly free outreach clinics for under-served populations of San Diego. Essentially, this is a "Robin Hood" method of funding our non-profit. Every time you come in for services, you are helping us provide additional services for those who can't afford them. Since 2007, our free clinics have provided over 24,000 free holistic health services for the communities of City Heights, Southeast San Diego and at the YWCA Women's Shelter downtown through partnerships with Pacific College of Oriental Medicine, Bastyr University, and other institutes of higher learning. We are also the producers of the San Diego Healing Arts Festival and the Alternative Happy Hour series that combine music, (one of the greatest healing forces in the World) with other health practices to offer a fun and educational forum for experiencing new modalities of wellness. We just don't make ultra smooth, delicious vodka and tequila, we make people euphoric! "HIGHLY RECOMMENDED" -BTI Beverage Institute Chicago. Premium grape-based, gluten free Vodka and Silver Tequila available now. We also craft a Silver Tequila, Reposado Tequila, Anejo Tequila, and Super Anejo Tequila coming Spring 2012. 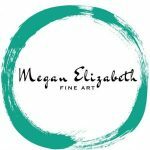 Award winning artist, Megan Elizabeth, is making her career debut with her new conservation focused series, “On The Edge”. This exhibition will feature never-before seen large paintings depicting under-represented wildlife on the edge of extinction. Each piece is paired with a conservation organization, video time-lapse of the painting being created and brief story behind the subject. Patrons are encouraged to interact with this exhibit at the Firehouse Coffee & Tea shop free of charge, although you must try their coffee if you stop by! A percentage of proceeds generated from each piece will be donated to the correlating organization to aid in efforts to conserve these species and their habitats. Please join us in August for the series debut of On The Edge. Artist debut and reception dates: TBA.